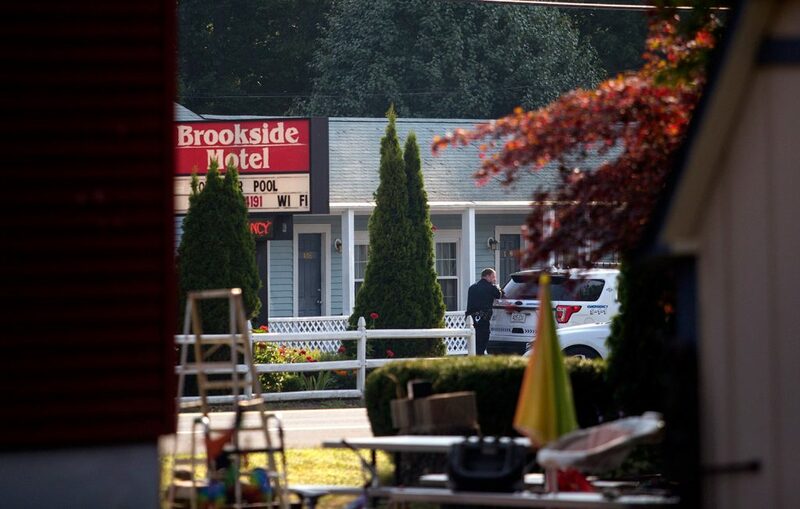 Police were called to the Brookside Motel shortly after 2 a.m. One man dove out a window and ran from the scene. 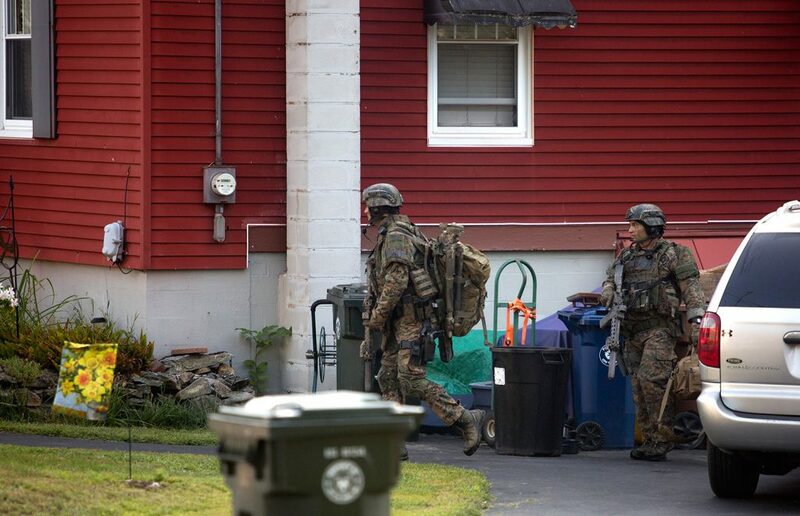 Three people were arrested and one man was still at large after a long standoff Tuesday at a Saco motel, police said. 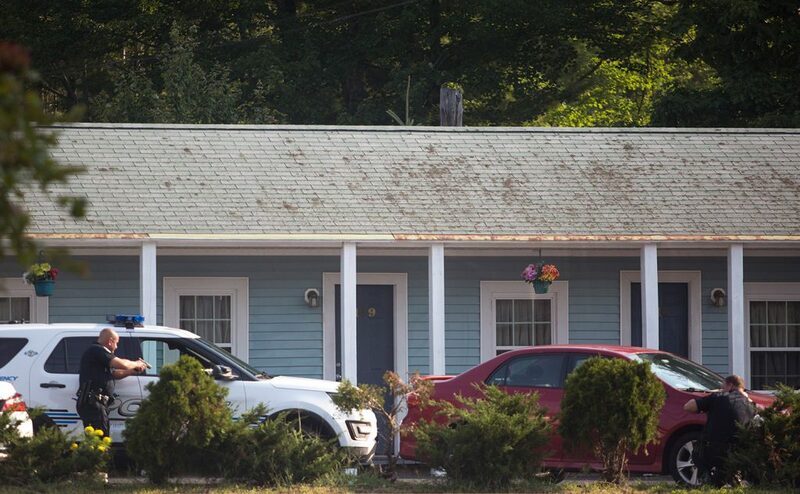 Saco police received a call shortly before 2 a.m. reporting that people were being held against their will at the Brookside Motel on Ocean Park Road, said Jack Clements, Saco’s deputy police chief. Clements said that when police arrived, one man dove out a back window of one of the rooms and ran off. He is still at large, Clements said. Police recovered a handgun near the window, although they haven’t determined conclusively if the gun belonged to the man who ran off. Saco police called in a tracking dog and officer from Wells to try to follow the man, Clements said, but were unable to pick up a track. 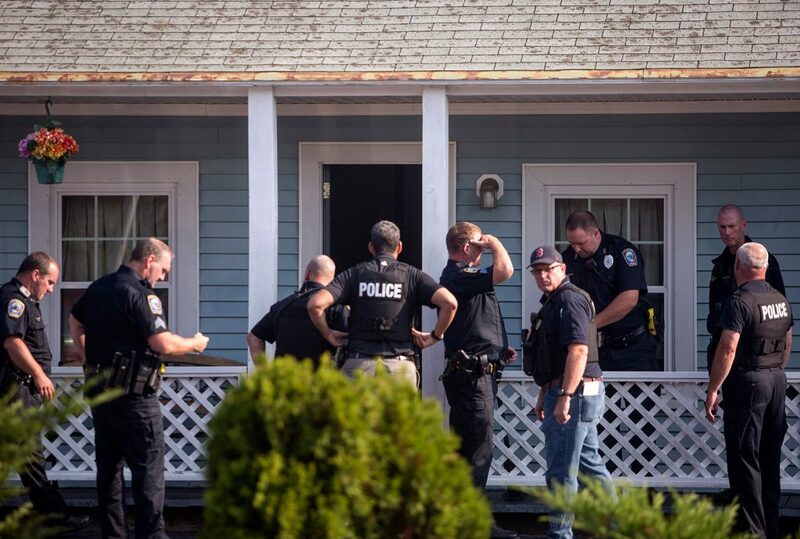 A short time after police arrived, Michelle Mendoza, 38, of Old Orchard Beach left the room on her own, he said. Mendoza, who was arrested and charged with violating the conditions of her release, told police that two other people still in the room were not being held hostage. But those two, a man and a woman, refused to leave the room, he said, leading to a standoff with police. “They were just obstinate. They did not want to come out,” Clements said. Later in the morning, police determined that the woman still in the room had outstanding warrants and obtained a search warrant to enter the room. They then arrested, without incident, Jessie Tulley, 35, of Old Orchard Beach, and John Felipe, 21, of the Bronx, New York. Tulley was arrested on three outstanding warrants for failure to appear for traffic offense. Felipe initially provided false information on his identity and was arrested for failure to provide identification and summonsed for creating a police standoff. Clements said police have not determined the identity of the man who jumped out of the window. He was still at large Tuesday afternoon. He also said no weapons were recovered other than the handgun near the window where the man jumped from the room. No one was injured and the public was not in any danger during the incident, he said. A section of Ocean Park Road in front of the motel was closed during the incident. 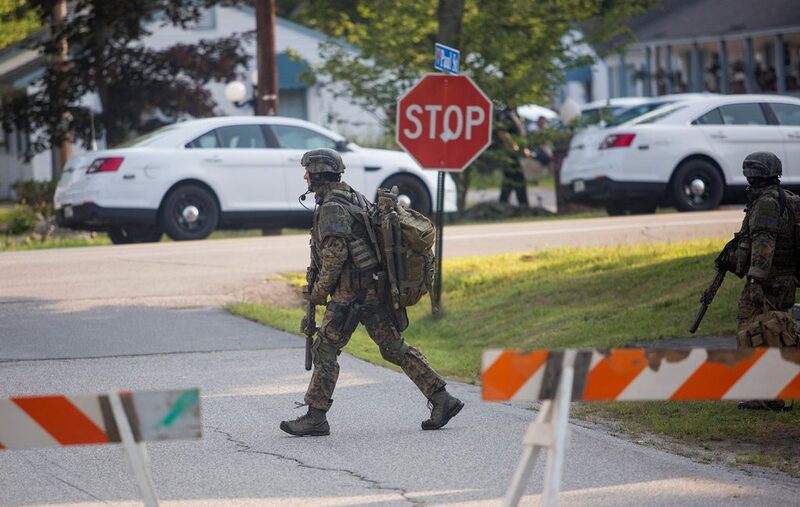 A state police tactical team had been called in based on the initial report of people being held against their will, but left after police determined that wasn’t the case, Clements said.